As a kid I mashed buttons for hours on end playing Street Fighter II. 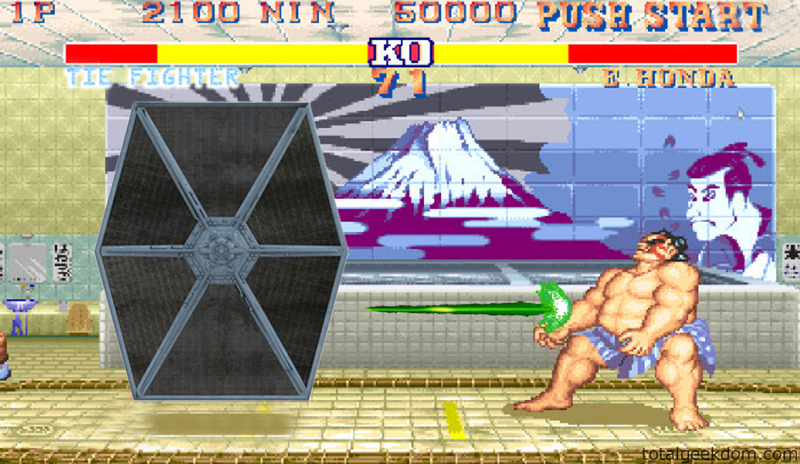 No button mashing needed for the Tie Fighter, it’s only got one move, laser blast. Mediocre Photoshop skills by me.